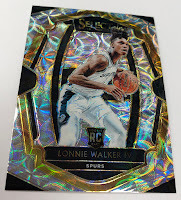 In 2015, Sports Cards Plus won Panini America's NBA $75,000 Hobby Shop Makeover for selling the most basketball cards in the entire United States. 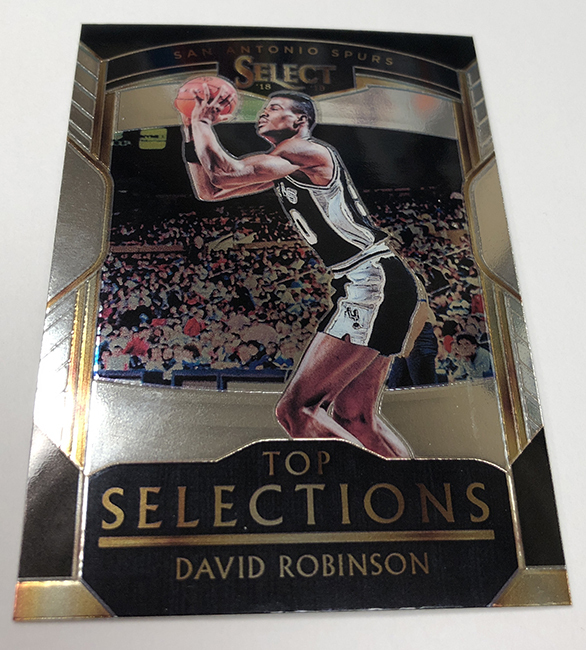 2014-15 Select Basketball was a major contributor to us winning that contest. Our customers busted what seemed to be over a thousand boxes of Select Basketball. And since then, every year Sports Cards Plus customers come back for more of their favorite Panini America basketball product. 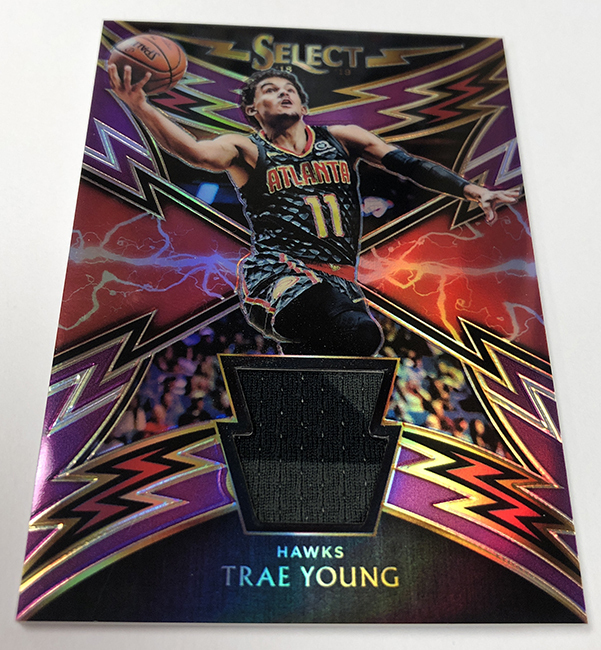 Panini America’s venerable Select Basketball franchise has established itself as a mid-season staple on the NBA collecting calendar by delivering its own unique spin on the company’s popular Optichrome printing technology (the quirky-cool Zebra Prizms got their start in Select) and by staying true to the brand’s three-tier base structure. 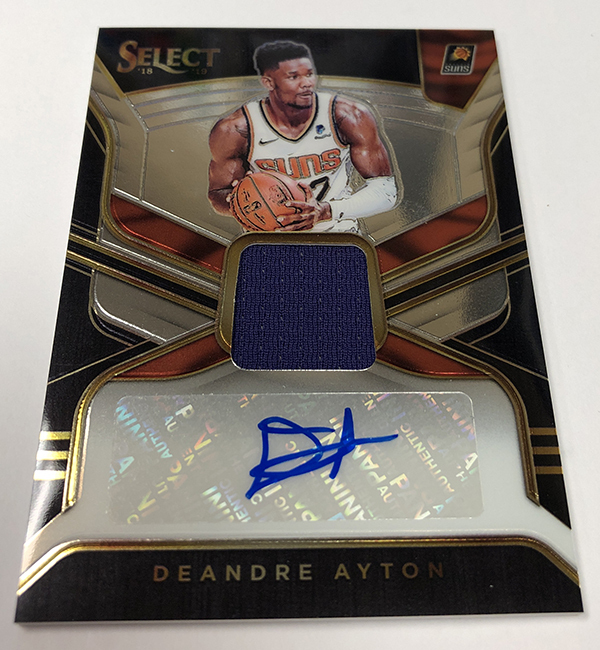 Those two brand tenets, as well as the standout Rookie Jersey Autographs, will most certainly continue to propel the brand forward when 2018-19 Select Basketball arrives at Sports Cards Plus this Wednesday. 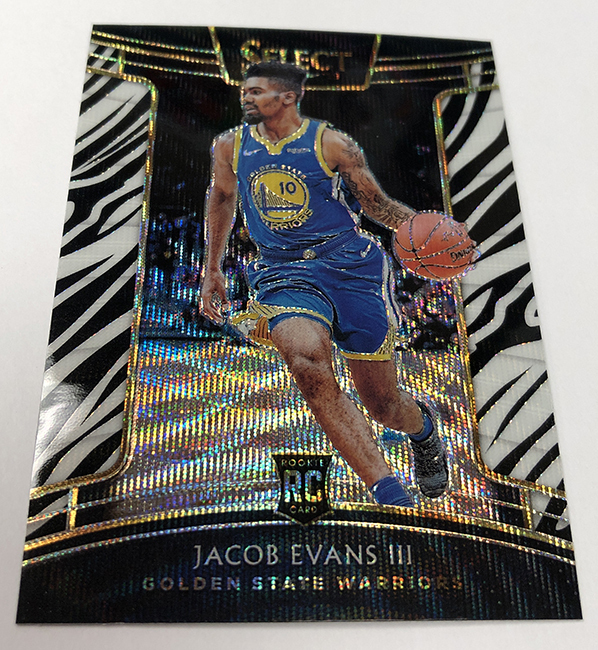 Calling-card colorful Prizms return once again 2018-19 Select Basketball, including the aforementioned Zebras as well as Tie-Dyes and the new Tri-Color. 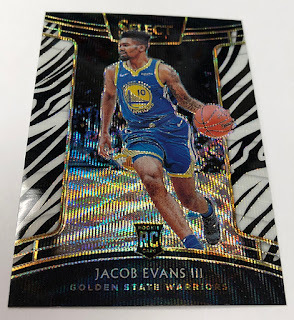 In addition, the three-tier base set remains intact with Concourse, Premier Level and Courtside versions paralleled by their own chase-worthy Prizm versions. 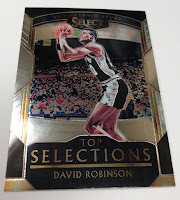 On average, each hobby box will deliver 10 Premier Level base cards and two Courtside cards. 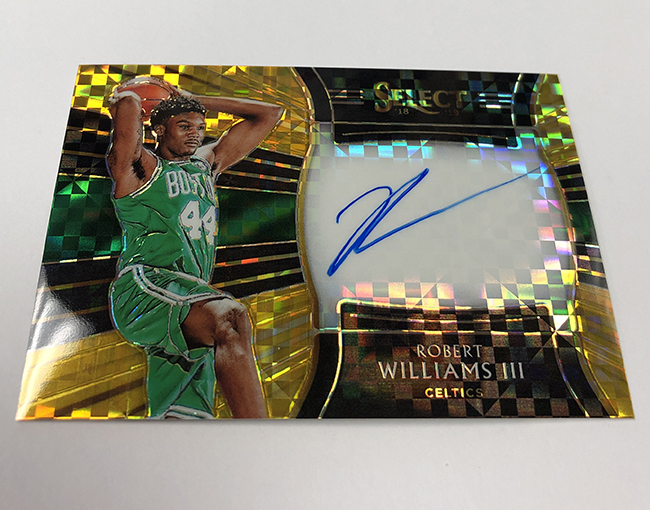 On average, each hobby box (five cards per pack, 12 packs per box, 12 boxes per case) will deliver three autograph or memorabilia cards, 12 Prizms, 10 Premier Level base cards and two Courtside base cards. The highlights of 2018-19 Prizm Basketball are many and include . . . Rookie Jersey Autographs in base (numbered to 199), Purple (numbered to 99), Tie-Dye(numbered to 25), Gold (numbered to 10) and Black 1/1 versions. Tie-Dye, Gold and Black Prizm versions all will feature prime swatches of jersey. 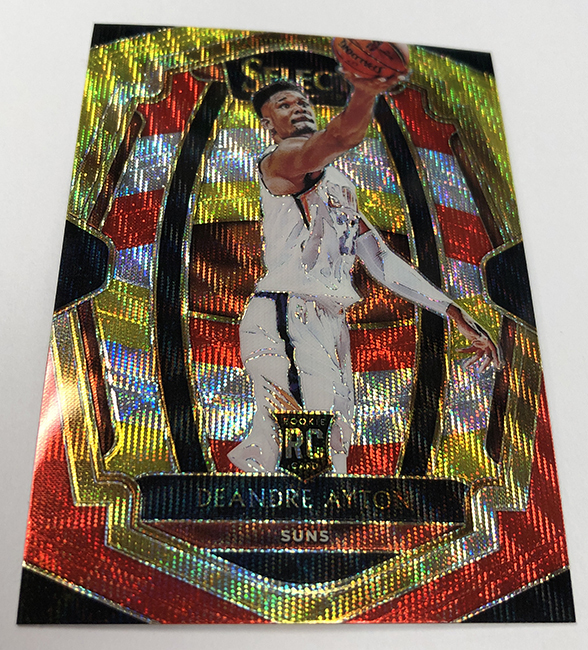 Some of the best-designed Optichrome inserts of the year in Global Icons (showcasing the NBA’s global talent), Phenomenon (displaying the brightest young players in the game) and Top Selections (highlighting No. 1 draft selections). 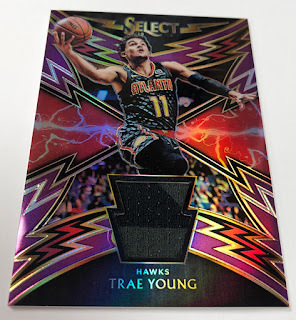 The highly sought after In Flight Signatures, boasting on-card autographs, and four memorabilia sets, including the incredibly colorful Sparks.